Do I Need My Own Lawyer For A Car Accident? BUFFALO, N.Y. – Millions of people get into car accidents every year. Chances are, if you haven’t had one already, you will someday. That’s why it’s important to know what to expect when a car accident happens. What To Do If I’m In A Car Accident? Do I Need My Own Lawyer For A Car Accident? These are questions you’ll need answers to. In most situations, you’ll likely need a lawyer to represent you after a car accident. Who that lawyer is, and what you’ll need to do often depends on your role in the accident. In almost all situations, a car crash should be investigated by police and a legal entity, such as a car accident lawyer. This investigation will help determine comparative negligence, or how much a driver is at fault for the accident. In New York State, blame for a car accident is not always in black and white. In some cases, multiple drivers could shoulder part of the blame for an accident. Comparative negligence may also help determine whether you need to find your own lawyer, or if your insurance company will provide one for you. If a claim has been filed against you, your insurance company will hire a lawyer to defend you in court. However, this attorney is paid by the insurance company and is not required to advise you about protecting your personal assets. If you do not have significant personal assets, this defense lawyer will usually suffice. However, if you do have personal assets at stake and the damages suffered by the other party could go beyond your insurance policy limits, you may need to hire your own counsel. 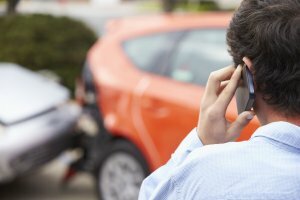 If you were injured in a car accident and it wasn’t your fault, you will certainly want to talk to an experienced Buffalo car accident lawyer. Even if your injuries are minor, the medical bills, lost wages, and other costs associated with the car crash can add-up rather quickly. These are not expenses you should be expected to pay. The insurance company may even make you a settlement offer before you’ve hired an attorney. This offer is often extremely low, and it’s unlikely to cover the costs required for you to completely recover from your injury. It would be wise to get a FREE case evaluation from a Buffalo car accident attorney at Cellino & Barnes. Once you’ve retained an attorney, they can help determine what it will take to get a fair settlement. When you’re a passenger in a vehicle, you have no control over what happens on the street. It doesn’t matter if you were in the vehicle blamed for the car accident; you will likely need your own lawyer to negotiate a fair settlement for your injuries. When a car accident leaves you with any type of pain, get a FREE consultation with an experienced car accident lawyer in Buffalo. 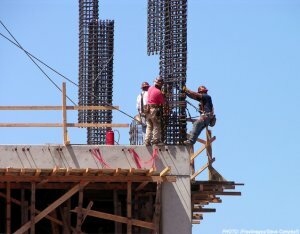 NEW YORK – Millions of workers suffer injuries each year, particularly those who work in construction in New York City. These workers and their families often know they’re protected by worker’s compensation insurance. But what they don’t know is how complicated the process can be, leaving many people asking, What Should I Do If I Was Injured At Work? According to a construction accident lawyer, New York workers need to take prompt action to safeguard the benefits they’re entitled to after an accident. If you’re considering filing a workers’ compensation claim, contact the New York construction accident lawyers at Cellino & Barnes for a FREE consultation. This is another extremely important step, as it documents your injury or illness. Whether it’s minor or severe pain you’re experiencing, you should seek medical care. Unless you require emergency treatment, you must see a health care provider authorized by the Workers’ Compensation Board. If an accident causes a physical injury, you should report the injury to your employer as soon as possible. You have two years to do so, but this is not a long time when it comes to recovering from a physical injury. Your employer must file a workers’ compensation claim with their insurance company on your behalf. They won’t know to do this unless you tell them that you suffered an injury. An experienced New York construction accident attorney can help make sure your employer files the claim for workers’ compensation on time. You should also get a copy of the claim they file. Workers’ compensation insurance providers may deny claims for any reason, or provide less compensation than what is needed. When your workers’ compensation claim doesn’t go just right, talk with the knowledgeable workers’ compensation lawyers at Cellino & Barnes. 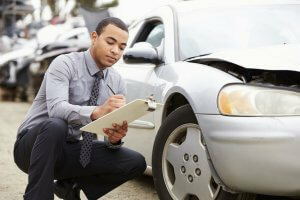 Our New York accident attorneys can help you get the best result possible from your claim. We will evaluate any construction accident or workplace injury for free. Contact us to get started. Do I Need A Car Accident Lawyer In New York? NEW YORK – There are over 200,000 car accidents in New York City every year. That’s about 45 car crashes every hour in the five boroughs. So, it’s no surprise that one of the most common questions people ask after they’ve been in a crash is, Do I Need A Car Accident Lawyer In New York? Most of the accidents in NYC are minor fender-benders, and will require little more than a visit to your local body shop. 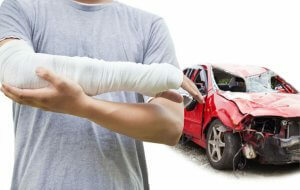 Others may need the attention of an experienced Brooklyn car accident lawyer. There’s one question everyone must ask themselves if they’ve recently been in a car accident: Am I Injured? Even a minor fender bender can cause long-lasting injuries that will undoubtedly change your lifestyle. Whiplash is a common injury, and the pain that comes with it may not manifest for days or weeks after an accident. That’s why it’s important to have a visit with your doctor as soon as possible. If you have indeed been injured due to a car accident, the other question that will be weighed is, Who Is At Fault? Even if you believe you caused a car crash, NEVER admit fault. Our team has investigated car accidents in which a driver believed they were at-fault, only to find out the other driver had been under the influence of drugs or alcohol — or there was a critical vehicular malfunction. The bottom line is, you don’t know who is truly at-fault for a car accident until it has thoroughly been investigated. If you have been injured and are NOT at-fault for a car accident (or fault has not been determined), it may be time to look for a car accident lawyer in New York. Whether you were operating a vehicle or you were a passenger, an experienced Brooklyn car accident lawyer could help you get the best result possible from an injury claim. FREE Consultation – many attorneys and law firms charge you a fee just to speak with them. At Cellino & Barnes, we believe information should be free. Our team will examine your case without charging you a penny. Experience – is your lawyer new to New York State or have they been practicing in Brooklyn for decades? This experience matters. The Brooklyn car accident lawyers at Cellino & Barnes have been helping New Yorkers with personal injury claims for over 60 years. We know New York and the laws that can help you get the best result possible from your claim. Track Record – You’re going to want a successful law group to represent you and your family. How do you determine who’s successful? Look at their track record. Cellino & Barnes have helped car accident victims recover billions of dollars in compensation. That doesn’t happen by mistake. Trust – Think about the companies, brands, and people you trust most in your life. They’re recognizable, caring and local. Your lawyer should be too. Cellino & Barnes is proud to have been trusted by thousands of New Yorkers to get the compensation they deserve after a car accident. Do I Need A Car Accident Lawyer In New York? If you’re asking this question, you probably do. This is an important decision you’ll need to make if you’ve been injured by a negligent driver. We know you have questions and concerns, and we encourage you to give us a call and allow our legal team to examine your case for FREE. Contact an experienced Brooklyn car accident lawyer at Cellino & Barnes for your free consultation, or call us anytime to speak directly with our legal team. 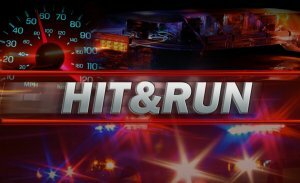 NEW YORK – A hit-and-run accident in Brooklyn can leave families devastated. These heartbreaking accidents can cause serious injuries, and what’s worse is the fact that the other driver speeds away as if nothing happened. We know how frustrating this situation can be for thousands of hit-and-run victims. Many of them have asked our Brooklyn car accident lawyers, Do I Need A Lawyer For Hit-And-Run? In most cases, the answer is yes. As a no-fault insurance state, victims of hit-and-run accidents in New York can turn to their own insurance providers for compensation. New York requires drivers to carry a minimum of $50,000 in personal injury protection or PIP coverage as well as $50,000 in uninsured and underinsured motorist coverage (UM/UIM). Often times, insurance adjusters offer low settlements in the hopes that their clients will be desperate to receive any kind of compensation. Don’t fall for this common tactic! Before you accept anything from the insurance company, take just 15 minutes to speak with an experienced Brooklyn car accident lawyer. At Cellino & Barnes, our consultations are FREE – and we can help provide you with peace of mind. According to an experienced car accident attorney, New York drivers who lack sufficient insurance coverage may be able to file a claim under The Motor Vehicle Accident Indemnification Act, which provides another avenue for hit-and-run accident victims to file a claim for damages. Ultimately, your best chance of obtaining compensation after a hit-and-run accident is to work with a hit-and-run accident lawyer in Brooklyn. An attorney representing your interests can level the playing field. Our legal team can look into your accident case and investigate all of the facts. Our team consists of experienced investigators too, so we can work with the police and help track down the other driver and hold them accountable. If you’re asking the question, Do I Need A Lawyer For Hit-and-Run? Call our experienced injury lawyers to discuss your case for free at (800) 888-8888 or email us a brief description of your situation. ROCHESTER, N.Y. – Transportation network companies (TNC’s) like Uber and Lyft have taken over the taxi industry. With thousands of Uber drivers in New York State, it’s important to ask the question, How Do Uber Car Accident Claims Work? Although Uber and Lyft accidents are not similar to ordinary car accidents between drivers, there are some important differences, Rochester car accident lawyers say. Uber drivers in New York must have their own car insurance in addition to Uber’s insurance policy. Uber’s insurance policy provides liability and uninsured or underinsured motorist coverage (UM/UIM). Liability insurance covers passengers and others involved in crashes caused by the Uber driver, while UM/UIM covers drivers and passengers in accidents caused by other drivers who do not have insurance or who lack sufficient insurance. Rochester car accident attorneys said it’s important to note that when the driver’s insurance fails to provide adequate coverage, the additional coverage is only available upon request. If an Uber driver is carrying a passenger when he becomes involved in an accident, the driver and his passenger(s) may be covered under Uber’s 1 million dollar liability policy. Uber may provide up to 1 million dollars more if the Uber driver lacks insurance or is underinsured. If the driver is using their vehicle for personal use and they aren’t available to provide rides, they’re covered under their own insurance policy. 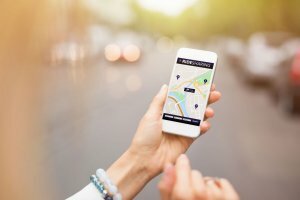 Why Do I Need an Attorney to Resolve an Uber Claim? Claiming damages against Uber is no easier than making a claim against your own insurance company. Like any other corporation, Uber seeks to reduce its liability to maximize profits. They will do what they can to deny claims seeking financial recourse. With a large team of attorneys on their side, Uber rejects and devalues claims. In some cases, they may offer you a meager settlement up front in the hopes that you will not seek the sum you need. Call the Rochester car accident lawyers at Cellino & Barnes for a free consultation. Cellino & Barnes (800) 888-8888. According to a car accident lawyer, New York has unique challenges when it comes to making the streets safer. It’s not just important to look at where pedestrian accidents happen, but when. Pedestrian accidents happen most frequently at busy intersections during the summer months. Although the majority of these accidents occur during the day, there’s a higher risk of getting struck by a vehicle at night. 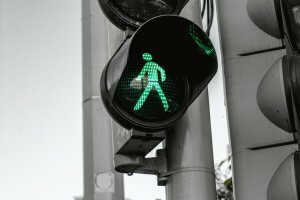 According to our car accident lawyer, New York’s busy intersections are particularly dangerous because there’s a mix of heavy foot traffic and cars. Some of the busiest intersections in the country are also considered some of the most dangerous. Why Is The Summertime More Dangerous? There’s so much happening during the summer months. Families are planning road trips, shuttling children to and from baseball practices, and it seems like every weekend, it’s another birthday bash. It’s also a very dangerous time of year. The warm weather and sunshine bring more crowds to outdoors. More crowds mean more traffic. And more traffic usually means more accidents. Why Is Nighttime More Dangerous For Pedestrians? Roughly half of all accidents occur at nighttime. But considering traffic is greatly reduced overnight, this fact shows just how dangerous the streets can become after sunset. Wear Reflective Clothing. You want to be visible so drivers can see you and adjust their driving habits to avoid a potential accident. Use The Sidewalk or Pedestrian Pathway. Stay as far away from traffic as possible. A pedestrian accident is most likely to happen on the roadway itself. Avoid Areas Without Lights. Visibility is key at night. Not only do street lights allow you to see more, but they also help drivers see you. Tell A Family Member Or Friend Where You’re Going. Tell a family member where you’re going and when you expect to be back. Be Alert At All Times. We all know drivers can get distracted, but so can pedestrians. One misstep could lead to a terrible accident. There are bad drivers in every city. Even when you follow these pedestrian safety guidelines, accidents can happen. If you or a loved one has been hit by a vehicle or injured in a car crash, you can trust the team of experienced car accident lawyers at Cellino & Barnes to help you get compensation for your injuries. Call an experienced car accident lawyer in New York for a FREE case evaluation. NEW YORK – Falls are a top cause of injury in the United States, impacting millions of lives every year. 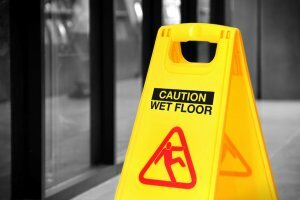 Many slips or falls happen in a public area, like a store or business, and you could be entitled to compensation for your injuries. Victims of these accidents often ask our Queens slip and fall lawyers, What To Do When You Slip And Fall In A Store. Get Medical Attention Immediately. Even if you feel fine, it’s important to get checked out by a doctor. Immediate medical attention lowers the risk of long-term complications. It also documents the injuries caused by a slip-and-fall in a store. Report The Problem. Whether your accident happened in a store or outside, report it to the manager or owner. If you do not know who the manager or owner is, or they are avoiding you, call our Queens slip-and-fall lawyers. We can help track them down! Document EVERYTHING. Take pictures. Take notes. Talk to witnesses, and get their phone numbers. Every piece of evidence could be relevant and it may help prove your case! NEVER Admit Fault. In fact, don’t give any statements to anyone other than your attorney. Don’t post any pictures or statements to social media either – this can only hurt you in the end. If you’ve been contacted by an insurance agent, decline a statement until you’ve talked with an attorney whose job is to represent YOU. Call A Personal Injury Lawyer. When you’ve been injured, there’s a lot at stake and you want someone you can trust to be by your side throughout the legal process. Call an experienced Queens slip and fall lawyer at Cellino & Barnes for a FREE case evaluation. Many victims of slips and falls are unsure whether they need a lawyer or not. If you’ve been injured in any way, it may be beneficial to at least speak with an experienced personal injury lawyer in New York. There are deadlines to file a claim, so it’s important to contact a Queens slip and fall lawyer sooner than later. Experience. The law is complicated. There can be countless forms to fill out and legal documents that must be drafted. Luckily, our team has decades of experience sifting through legal jargon to help our clients get results. Trust. To many other law firms, you’re just a case number. But at Cellino & Barnes, our legal team makes it a priority to know you and your family. We feel like that’s what you deserve – an attorney you know and trust to handle your case. Success. Our team has helped accident victims recover over $2 billion. We didn’t become such a large firm by mistake; our team works hard to help their clients get the best results possible. Still have questions? Give us a call. Our consultations are always FREE. NEW YORK – According to an experienced Accident Attorney, New York businesses must have workers’ compensation coverage for their employees. These benefits extend to nearly every kind of employee, including those injured in a construction accident, shipyard accident, farming accident, or another type of work-related injury. If you have been hurt on-the-job in New York, you are likely entitled to benefits. Receiving workers’ compensation benefits after a construction accident may still be possible in the above situations depending on other facts of the case, which is why we always suggest calling an experienced personal injury lawyer for a FREE case evaluation. What are my rights if I get hurt at work? Very few businesses are exempt from complying with New York’s workers’ compensation laws, meaning that, if you work for a company of any size, part-time or full-time, or even if you volunteer, you likely have benefits waiting for you if you become injured or ill in the workplace. By law, it is your right to file a claim through your employer’s workers’ compensation insurance policy when you become injured or ill at work. You also have the right to see a doctor and receive medical treatment. If your doctor releases you, you have the right to return to your position in the workplace. If you cannot return to work because your injury or illness prevents you from doing so, whether the condition is permanent or temporary, you have the right to disability compensation. You have the right to appeal any decision made by your employer, your employer’s insurance company, or the New York Workers’ Compensation Board. You have the right to an attorney to represent you throughout the process of obtaining workers’ compensation benefits or that of filing a lawsuit against your employer. If you choose to pursue workers’ compensation benefits, you automatically void the right to sue your employer, coworker, or any other party that may be responsible for your injuries. Additionally, failing to report the injury altogether can cause you to lose the opportunity to receive workers’ compensation benefits. 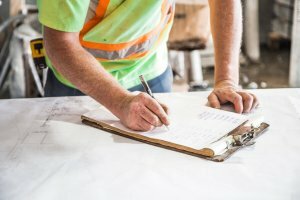 It’s important to report your accident to your employer as soon as possible, as there is a short window of time in which you may pursue a claim. Our Bronx construction accident attorneys have helped many workers get the best results possible from their claims, and it all starts with on call. Discussing your rights and legal options with a qualified workers’ compensation lawyer in New York. At Cellino & Barnes, our top priority is to help you get the maximum compensation you are entitled to by law. Call one of our Bronx construction accident lawyers at any time for a free case review. BUFFALO, N.Y. – Odds are, it will happen at least once in your life. A car accident. They impact millions of lives each year, and they can add some unneeded stress to your life. So, What Do I Do If I’m In A Car Accident? Our accident attorneys hear this question all the time. Know that you’re not alone, and there’s always someone who can help you through this stressful situation. If anyone was injured, get immediate medical attention. Call police and obtain a copy of the accident report. Take notes and pictures. This information may be able to help you later on. NEVER admit fault. Even if you think you caused a car accident – the fact is, you don’t know that for sure! The other driver may have been under the influence, or a vehicle had an equipment malfunction. If you’ve been injured, you may not be able to immediately complete these tasks, and that’s understandable. In some injury cases, your insurance company or legal team can help you obtain the information you need. Many times, the insurance company may make an offer to pay for some of these expenses, but be wary of such an offer! According to our accident attorneys, New York insurance companies often use this strategy to short-change injured car accident victims and prevent them from receiving fair compensation. What do I do if I’m in a car accident? Follow the steps above, then call an experienced accident attorney at Cellino & Barnes for a FREE case evaluation. Our Buffalo car accident lawyers will go over your case with you, and help answer any questions you may have about car accidents or the legal process that can help you get compensation for your injuries.